Catalina Foothills Estates No. 9 Subdivision is on the east side of the North Area of Tucson, AZ. Shopping, restaurants, and activities can be a bit of a drive. The Arizona National Golf Course and eating facilities are nearby. Families living in Catalina Foothills Estates No. 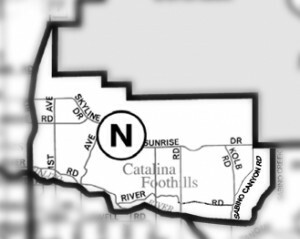 9 Subdivision are served by the Catalina Foothills School District – District 16. Restaurants to visit if you are living in the Catalina Foothills Estates No. 9 Subdivision or another subdivision in Tucson’s North area are Blanco Tacos + Tequilla and North Italia Restaurant. Are you thinking of buying a home in the Catalina Foothills Estates No. 9 Subdivision or another area of Tucson area? Finding the right home can be a challenging process. But we can make the process much less stressful for you.